In today’s “protected” world, the hard sell is severely crimped by the need to only promise what you can guarantee to deliver, under penalty of legal attack. 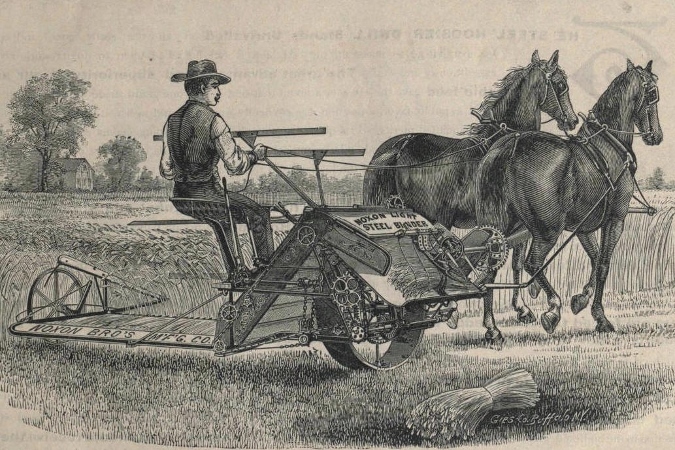 No such restrictions were recognised in the era of rapid mechanisation of all industries, especially farming. Manufacturers let loose their best works in the writing of advertisements for their products, reaching deeply for the most flowery adjectives in describing their products capabilities. How could one resist purchasing such a piece of machinery! Would that today’s advertising writer be as free as in those days to extoll the virtues of their product. Driving along number three highway to the lake each weekend, just east of Sheddon, I found myself looking each time at the old thirties era steel wheeled Case tractor, complete with two furrow trailing plow showcased on a small artificial hillock. Perched on the driver’s seat, the old farmer in his faded coveralls had his arm held high in greeting to each passing motorist. 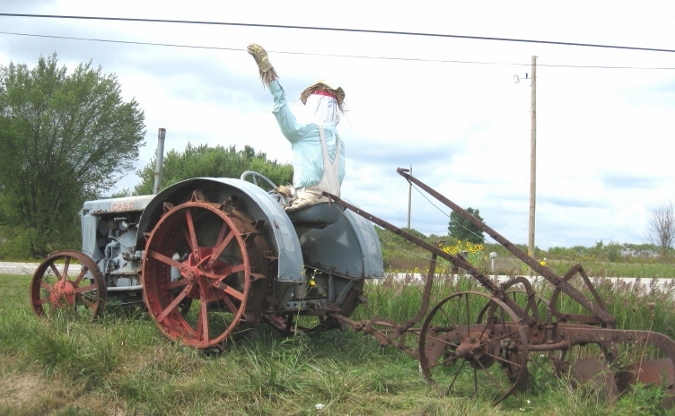 It was a welcome treat to see this unusual display of a well-used piece of farm equipment that obviously held an esteemed place in the memory of its owner. Later in the summer, the farmer’s wife joined him on the hillock greeting the passer by, along with their dog, a great creation of straw. It was only natural that when we reached the approach to Halloween, their heads would be replaced with brightly coloured pumpkins. 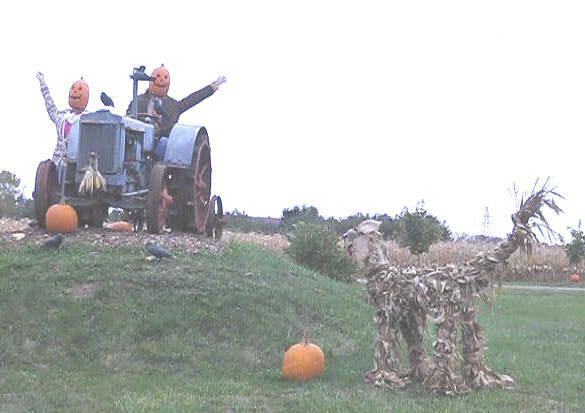 It was a wonderful visual break to the car trip to see how the usually routine siting of an old farm tractor at the farm entrance was made out of the ordinary with a little imagination and artistic work. 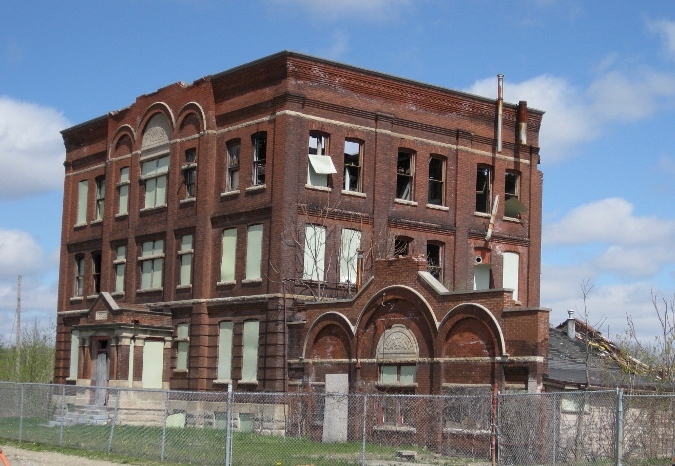 Over the last few years, the remaining factories of Brantford’s great industrial past are being demolished one by one and with them go physical ties to the memories of thousands of the city’s workers of yesteryear. 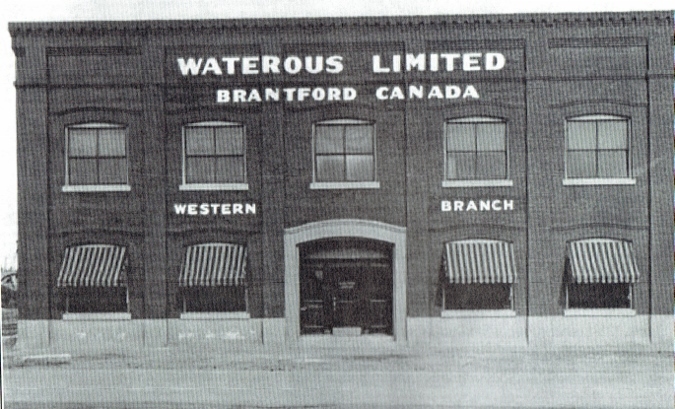 Just prior to the turn of the millennium, the “brownfields” between Greenwich and Mohawk Streets still contained the factories of the once mighty Cockshutt Plow Company, the huge rambling foundries of the Massey Ferguson owned Verity Company, and the triangular shaped complex of buildings that was once the home of the Brantford Coach and Body Company (formerly Adams Wagon Company). 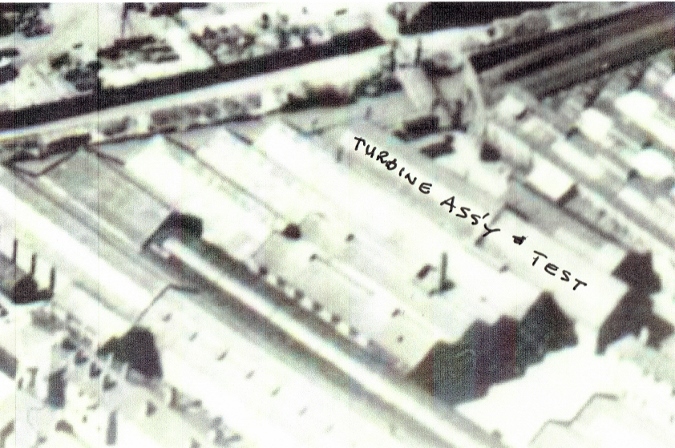 The first to disappear was the Adams Wagon factory which went under the hammer of Kieswetter demolition in 1998. The razing of the Cockshutt factory followed in stages a few years later as the various buildings comprising the west side of the complex were emptied of miscellaneous tenants who had occupied them since the closing of the Cockshutt Company (White Equipment Company at that time). The final section to be demolished was the multi storey office building after several years of decay and attempts to keep it as an industrial museum. A final delay to keep the front section of the office building was thwarted when a questionable fire resulted in mandatory demolition of the remainder for safety reasons. Valuable historic voices did score a small victory when the front door portico of the head office building and the architectural gem of the Time Office were retained for possible future use for industrial heritage purposes. Still remaining at the east end of the former factory complex is the building that once housed World War two bomber fuselage production and subsequently, the Cockshutt combine harvester assembly line, along with a couple of machine and press shops still used for warehousing. 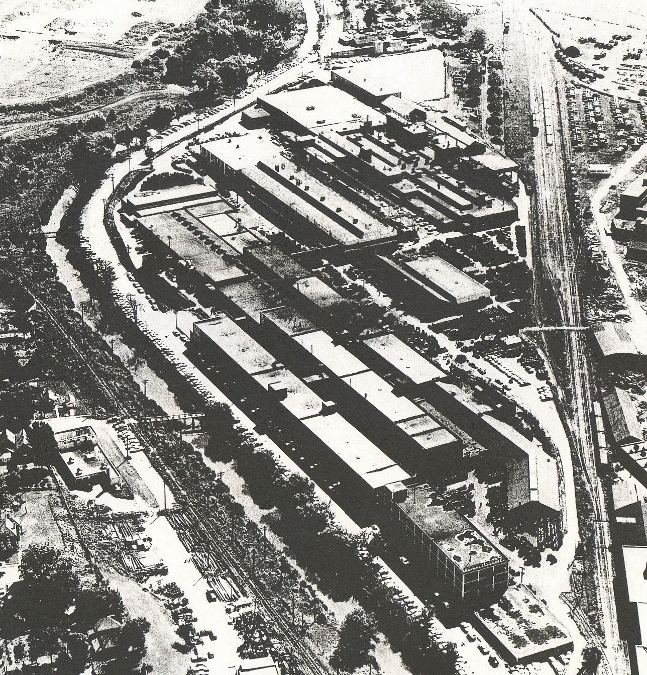 The final section of the brownfields across the railroad tracks to the north housed the huge foundry complex of the Verity Company. 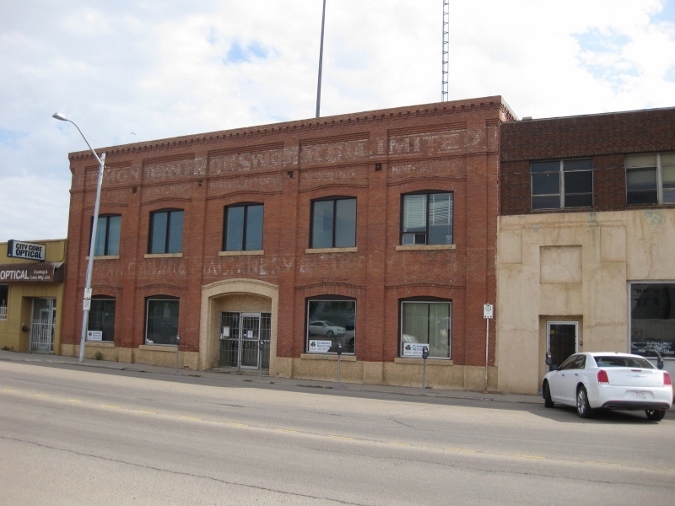 From these factories, first built in 1899, came hundreds of thousands of plows and millions of castings and parts for the Massey Ferguson factories. With the bankruptcy of Massey Combines came the closing of the Verity works in 1988. Unused since then except for some storage purposes, decay and vandalism wreaked havoc with the buildings so that many were in a severely sad and hazardous condition prior to the current 2014 demolition. Only the future can tell what will rise on these huge now open properties to generate memories for the next generation of Brantford citizens.